He spoke six languages fluently: English (his native language), and the self-taught languages French, Italian, Spanish, Latin, and German. He was a writer, printer, politician, postmaster, scientist, inventor, civic activist, statesman, and diplomat. He was an important left hander who impacted the world. He is Benjamin Franklin. Much like da Vinci, Franklin was the master of many disciplines; he was a dynamo. He was a very educated man, albeit much of the learning was self-taught. For example, and he taught himself to play the harp, the violin, and the guitar. He was an excellent swimmer, and his inventions included swim fins, bifocals, the odometer, improved streetlights, and the lightning rod. Additionally, he created the first musical instrument made in America, the Armonica. Further, he was the proud owner of a newspaper at age twenty-two. Franklin was also a major influence in the founding of The University of Pennsylvania, and he was awarded honorary degrees from Harvard, Yale, and Oxford universities. In 1743, he was elected as the first president of the American Philosophical Society. Franklin thought every man should have access to education, books, and healthcare regardless of class, status, or financial means. Franklin was strong in his stand on abolishing slavery. Toward the end of his life, he freed his own slaves. He served as Governor of Pennsylvania for three years, and was also elected as the first postmaster general of the United States. He started the first public library and the first volunteer fire department. Further, he was instrumental in helping start the first public hospital to aid the poor because he was able to raise a substantial amount of money, from both state and public resources, to fund the building work. He also is attributed with the creation of the first fire insurance company. After the age of forty-five, Franklin begin his experiments with electricity. Not being a mathematician, his experiments were more about trial and error rather than calculations. On more than one occasion, he found himself in precarious and dangerous situations. Franklin may not have invented electricity, but he made important contributions to the laws and understanding of the properties of electrical charge and the storage of electrical charge. 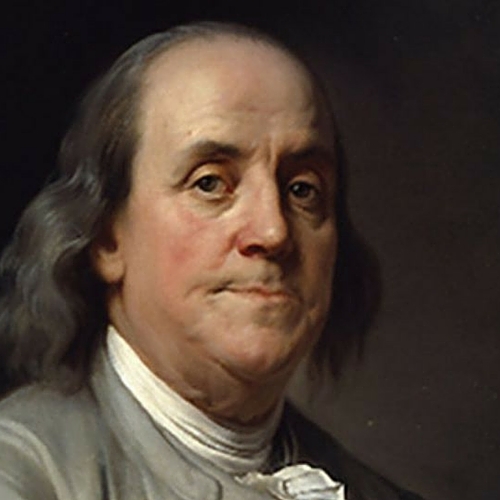 Many current electrical terms used today were first coined by Benjamin Franklin. Many would question Franklin’s left handedness. Any lefty who reads his essay titled “The Petition of the Left Hand” knows otherwise. Benjamin Franklin was a true man of vision. He understood the needs of the common man, and he found ways to provide them. He thought of new ways to provide access to books and services previously available only to the elite. He saw the big picture and did not focus merely on personal gain. His inventions and innovations have changed the face of the world; his ideas made healthcare and education available to the masses. Benjamin Franklin was a Southpaw who left his mark on the world in numerous ways.